Amazing Map Amazing Map Help guide Aladdin past all the obstacles! Find out more about Aladdin now. 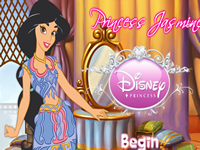 Jasmine Wedding Dress Up Jasmine Wedding Dress Up Princess Jasmine is preparing for her wedding with Aladdin. so, help her dress up and decorating for this magical moments. Jasmine princess Doll Dress Up Jasmine princess Doll Dress Up Help Princess Jasmine dress up as one of the prettiest princess in the world. Alladin Alladin Destroy all gold stone statue! Aladdin The Genie Dress Up Aladdin The Genie Dress Up Pick your favorite suit for Aladdin for his new adventure. Description: Find all the hidden Numbers in this image of Aladdin and Jasmine. Instructions: Use the mouse to play the game..